People are spending more and more time in their kitchens these days, and many are looking for ways of updating their kitchens’ looks. There are, of course, a number of different ways to do this, but the primary one is to change the cabinetry. 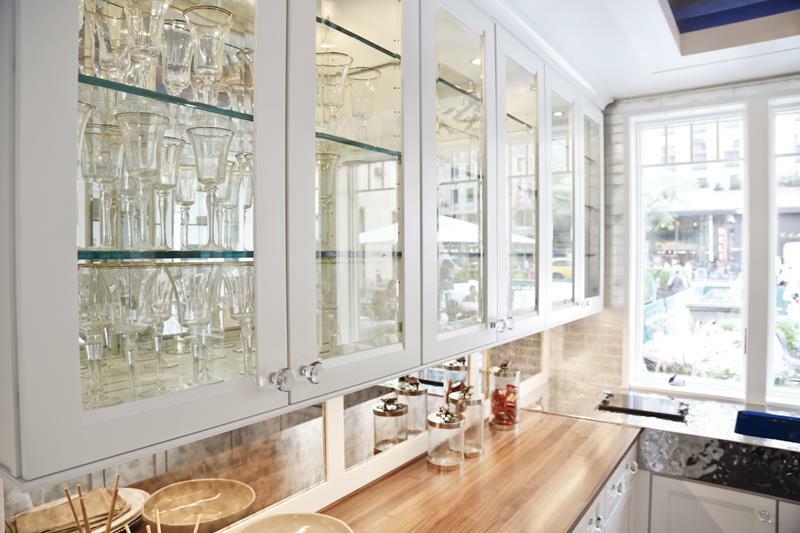 While there is a range of options available for doing this, one of the best happens to be incorporating glass cabinets into your kitchen. Often, kitchens can have a cold and sterile feel, and many can feel cramped and closed in. Adding glass cabinets to your kitchen allows you to add a sense of space and dimension, which is something that many people need to do. Glass cabinets work in a number of different design aesthetics, from rustic to contemporary, so, no matter what kind of overall design you’re after, glass cabinets are something can work for you. 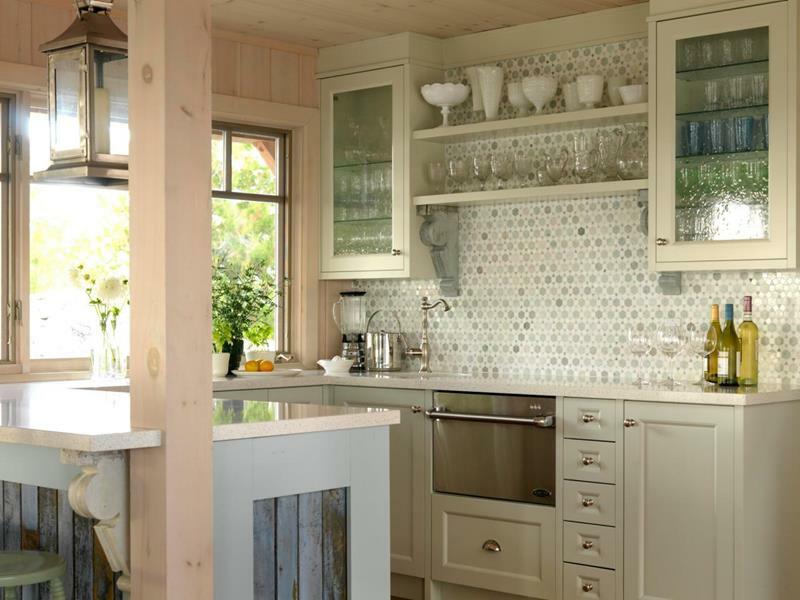 If you’ve been thinking about going this way with your home’s kitchen, then check out these 24 stunning kitchen design ideas that incorporate glass cabinets. No matter what you’re trying to do, we’re sure that you’ll find a few examples of something that would work perfectly in your home. Overhead glass cabinets give you the opportunity to show off all of that expensive stemware you’ve invested so much money in. 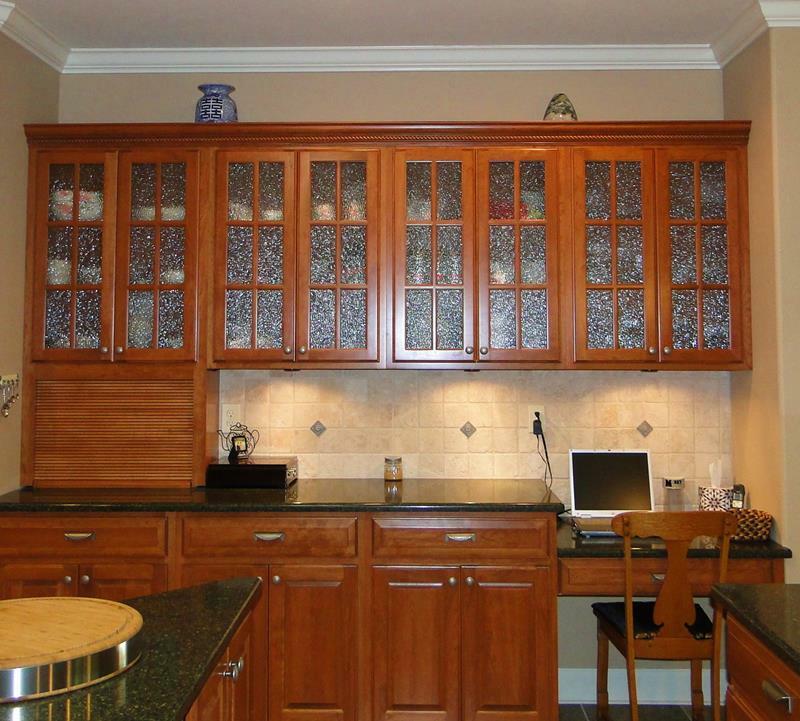 If you don’t want the contents of your cabinet to be laid bare, consider using distressed glass like you see here. 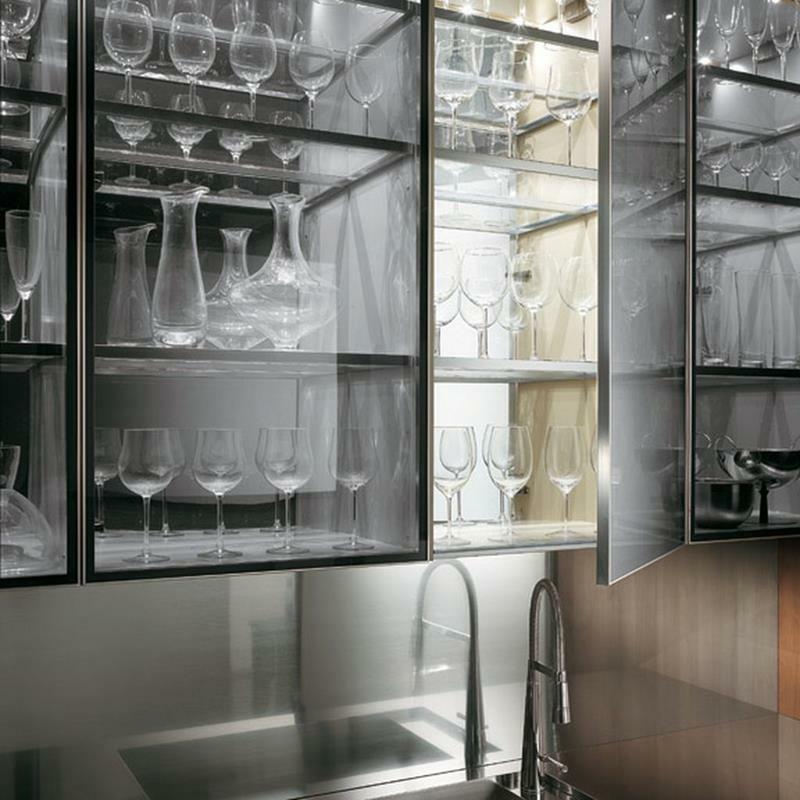 In a contemporary kitchen design, bringing metal and glass together is practically a no-brainer! 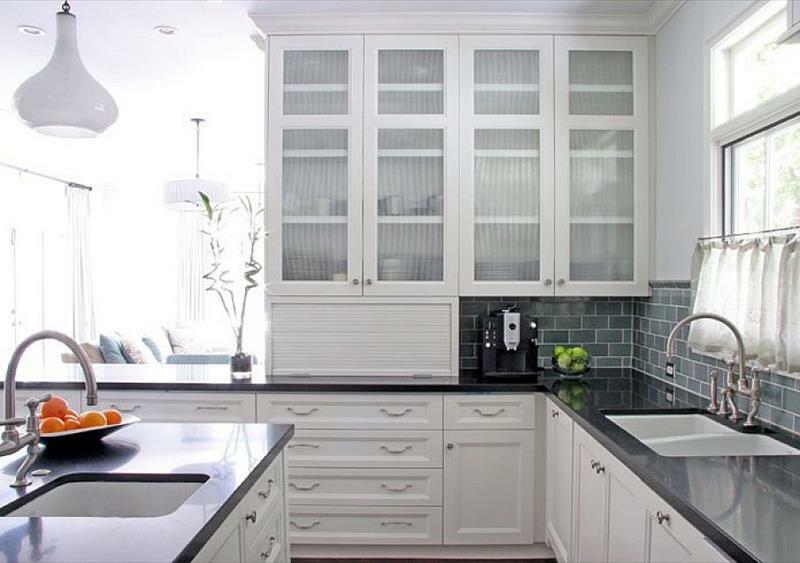 The classic design of this stunning home kitchen is completed through the use of tall glass cabinets.